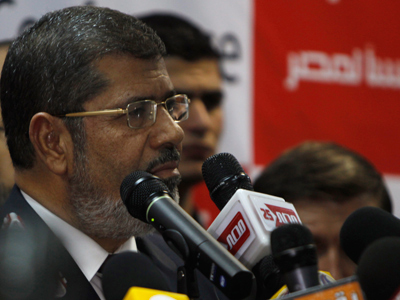 The Muslim Brotherhood declares its candidate, Mohamed Morsi, has won Egypt’s presidential run-off. The victory over Mubarak’s former prime minister, Ahmed Shafiq, is claimed ahead of the official announcement of the ballot results on Thursday. ­The party claims to have won 52.5 per cent of votes cast, based on a count of 97.6 per cent of the country’s 13,100 polling stations. Khaled Qazzaz, a Muslim Brotherhood official, said Shafik had 47.5 per cent of the votes counted. "There is no way Shafik can win," Qazzaz said, speaking at the headquarters of the Brotherhood's Freedom and Justice Party. The party’s website says it will shortly announce "the first statement of the first elected Egyptian president." 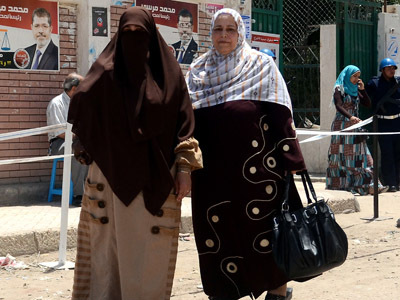 Approximately 50 million Egyptians are eligible to vote, but the turnout appears to be lower than in the first round, when 46 per cent of eligible voters cast their ballots. Over 20 million votes have been counted so far, Qazzaz said, with around 10.5 million going to Morsi, compared to 9.5 million for Shafiq. At the same time, there are numerous accusations of ballot-rigging from the rival candidate’s headquarters, where officials say they do not recognize the results announced by their rivals. "We are expecting the official results from the electoral commission,” Shafiq’s representative told the Egyptian Al-Hayat network. In April, the Islamist-led parliament had sought to bar Ahmed Shafiq and any other high-ranking official from the Mubarak government from exercising "political rights for ten years." On June 14, the Supreme Constitutional Court of Egypt decreed that Egypt’s lower house of parliament be dissolved, following a court verdict which determined that a hastily considered election law was illegal. 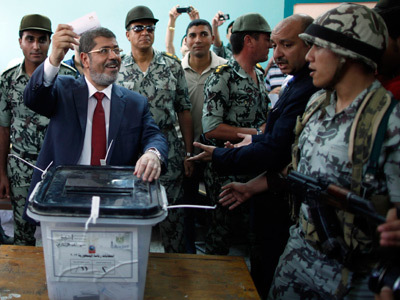 The court's decision overturned a law passed by the Islamist-led parliament and gave former PM Shafiq the right to face off against Mohamed Morsi in the election.